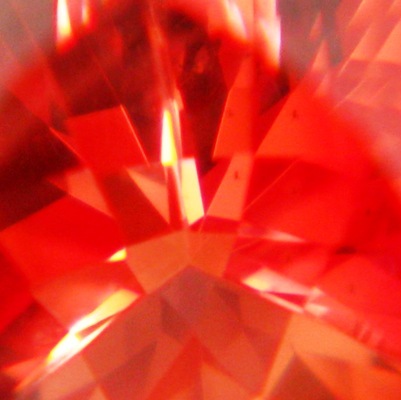 Comment: This type of colour is also called 'spinel-sunstone'. Though I generally don't feel one gem's colour should be explained with another's colour, the "trade" does it, so there we go. 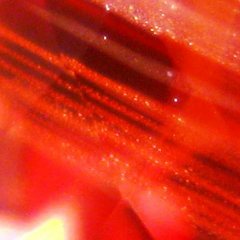 Anyways, further on the red side with only a dash of orange, but especially in low light mostly red. Copper strands (see close-up) produce the unique schiller but are invisible from the front! Fine precision cutting and in my opinion trillion is a very attractive shape for these gems. 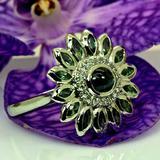 Still reasonable ring size but can even fill a pendant (10x10mm). 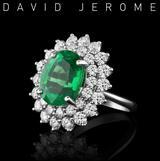 Perhaps the most famous colour in this newly appreciated gemstone variety. 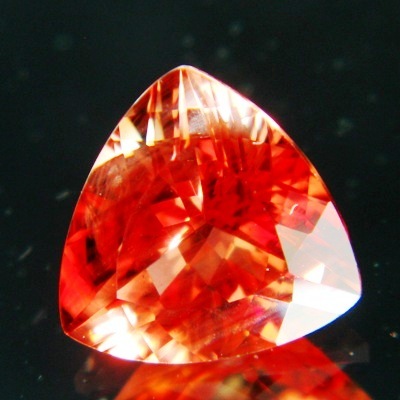 Do not confuse with cheap red-coated andesine, this is the real Oregon Sunstone, GIA certified untreated. 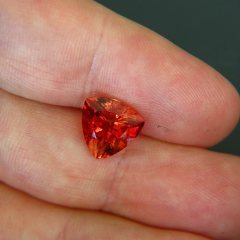 Here is an GIA update on Oregon Sunstones.